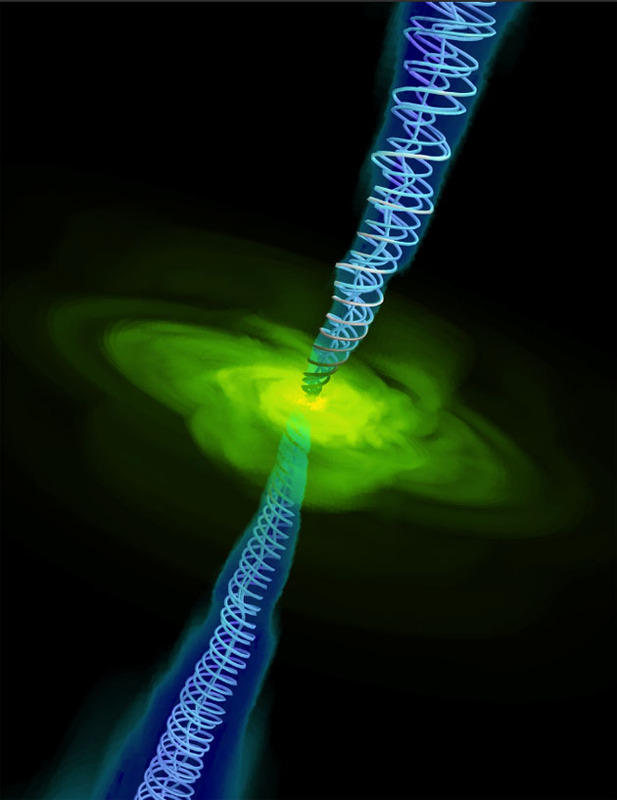 Black holes are responsible for a wide variety of astrophysical phenomena. They devour stars, eject relativistic jets, affect star formation and galaxy evolution, and enrich the Universe with heavy elements. 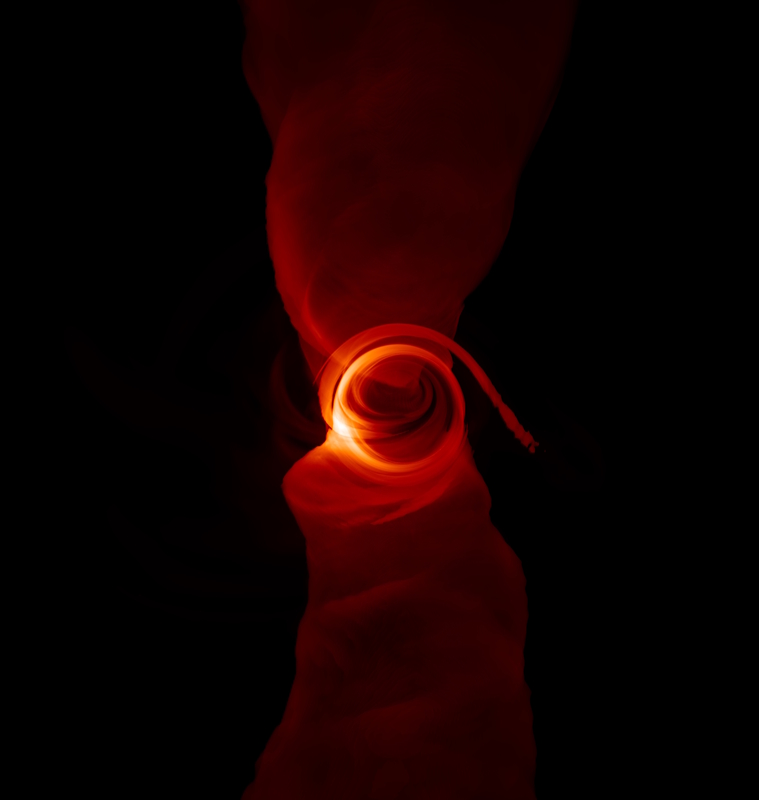 In the next several years, the Event Horizon Telescope will produce resolved images of infalling gas and jets on the event horizon scale that promise to revolutionize our understanding of black hole physics. However, until recently, no first-principles models to quantitatively interpret these observations existed. I will present the first such models, the simulated spectra and images, and the constraints on the near event horizon physics coming from the comparison to the observations of the supermassive black hole at the center of our galaxy. I will then use simulations to constrain black hole physics in several other astrophysical contexts. I will finish by making connections to my future research plans. Development of bubble chamber detectors for WIMP dark matter was pioneered at KICP in the early 2000’s. In the intervening years, we scaled the technology from the initial test-tube sized detectors operated in the basement of the LASR building to a 60 kg chamber now installed 2-km underground at SNOLAB. I will review the history of these developments and the most recent results from the PICO-2L and PICO-60 experiments. Dusty star-forming galaxies host the most intense stellar nurseries in the Universe. Their unusual characteristics (SFRs=200-2000Msun/yr) pose a unique challenge for cosmological simulations and galaxy formation theory, particularly at early times. Although rare today, they were factors of 1000 times more prevalent at z~2-5, contributing significantly to the buildup of the Universe's stellar mass and the formation of high-mass galaxies. However, an ongoing debate lingers as to their evolutionary origins at high-redshift, whether or not they are triggered by major mergers of gas-rich disk galaxies, or if they are solitary galaxies continually fed pristine gas from the intergalactic medium. 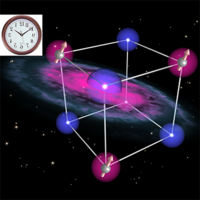 Observational evidence has been mixed over recent years; some studies clearly point to chaotic kinematic histories and fast gas depletion times (~<100Myr), while other work may demonstrate secular (though active) disks can sustain high star-formation rates over long periods of time. Similarly, some works argue such extreme star-formers contribute very little to cosmic star-formation, while others find quite the opposite. Furthermore, their presence in early protoclusters, only revealed quite recently, pose intriguing questions regarding the collapse of large scale structure. 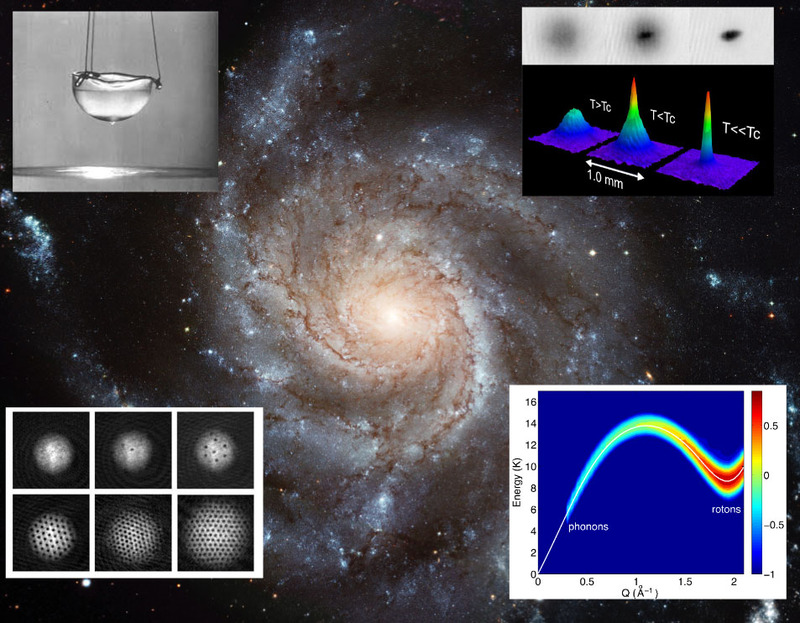 I will discuss some of the latest observational programs dedicated to understanding their origins and frequency at early times, their context in the cosmic web, and future long-term observing campaigns that will reveal their relationship to `normal’ galaxies, thus teaching us valuable lessons on the physical mechanisms of galaxy growth and the collapse of large scale structure in an evolving Universe. The talk will review theoretical arguments that if space and time emerge from a quantum system at the Planck scale, there should be nonlocal exotic quantum correlations of positions of massive bodies, even on scales much larger than the Planck length. In relational theories with no fixed background space, these could take the form of rotational quantum fluctuations in the inertial frame. Basic quantum principles are used to derive their effect on correlations in the signals of interferometers. 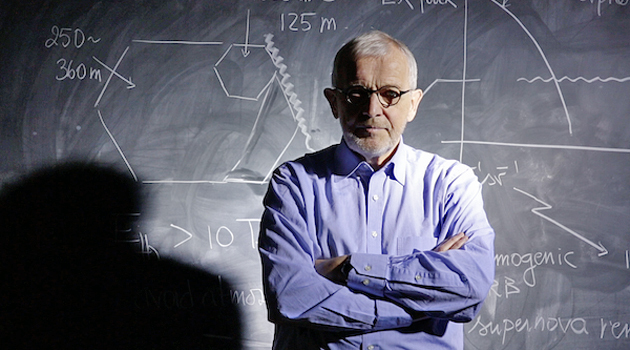 An experimental test is proposed, based on a reconfiguration of the Fermilab Holometer. It is conjectured that entanglement of these rotational correlations with the Standard Model vacuum could explain the value of the cosmological constant in terms of known scales of physics. The IceCube project has transformed one cubic kilometer of natural Antarctic ice into a neutrino detector. The instrument detects more than 100,000 neutrinos per year in the GeV to PeV energy range. Among these, we have recently isolated a flux of high-energy cosmic neutrinos. The high cosmic neutrino flux observed indicates that a significant fraction of the radiation in the non-thermal universe, powered by compact objects from neutron stars to supermassive black holes, is generated by proton accelerators. We will discuss the IceCube instrument, the analysis of the data, and the significance of the discovery of cosmic neutrinos. A wealth of astrophysical research supports the existence of dark matter in the universe, yet the exact identity and nature of this unknown particle remain elusive. 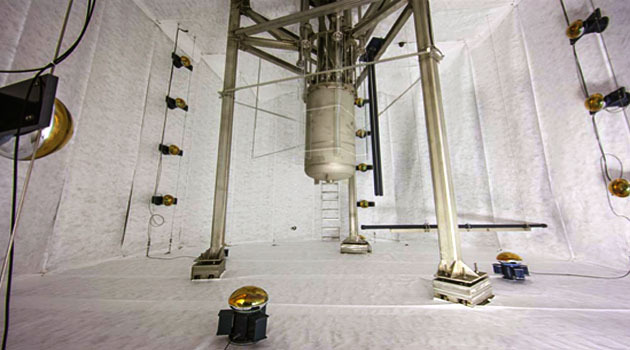 The Large Underground Xenon (LUX) dark matter search is a 370-kg xenon-based time projection chamber (TPC) that operates by detecting light and ionization signals from particles incident upon a xenon target. With the 2013 report of the world’s first sub-zeptobarn spin-independent WIMP-nucleon cross section limit, the LUX (Large Underground Xenon) experiment emerged as a frontrunner in the field of dark matter direct detection. In December 2015, LUX released an updated analysis of its 2013 dataset with increased detector exposure, updates to the background model, upgraded event reconstruction algorithms, and novel calibrations leading to an overall 23% increase in sensitivity for high-mass WIMPs and even more significant improvements for low-mass WIMPs. 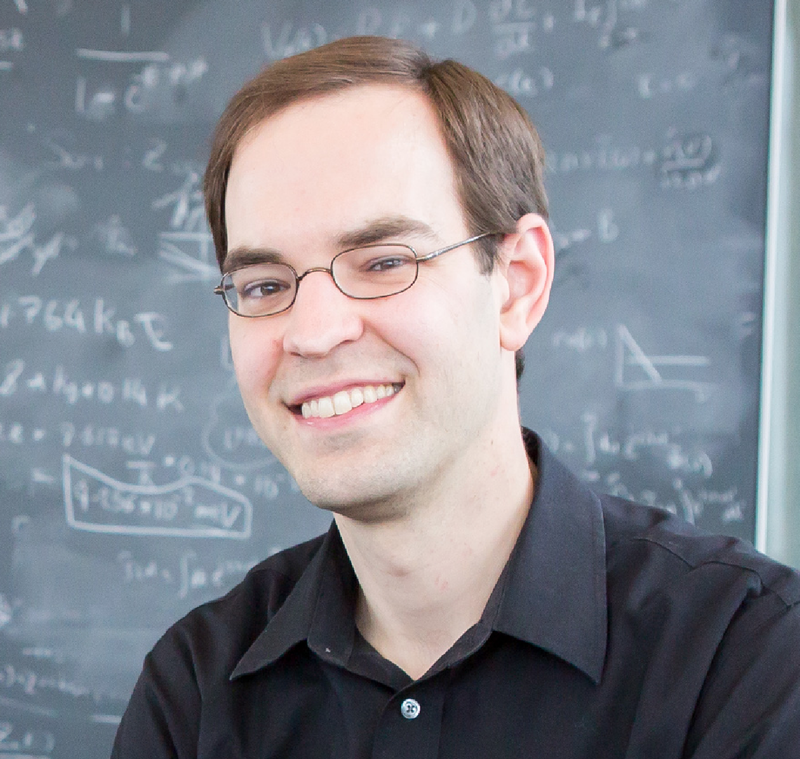 This talk details the design of the LUX experiment and reviews the analysis and reanalysis of the 2013 dataset leading to the world’s most stringent constraints on spin-independent WIMP-nucleon scattering for WIMPs above mass 4 GeV. I will present results of new calculations of the asteroidal impact flux on Mars. 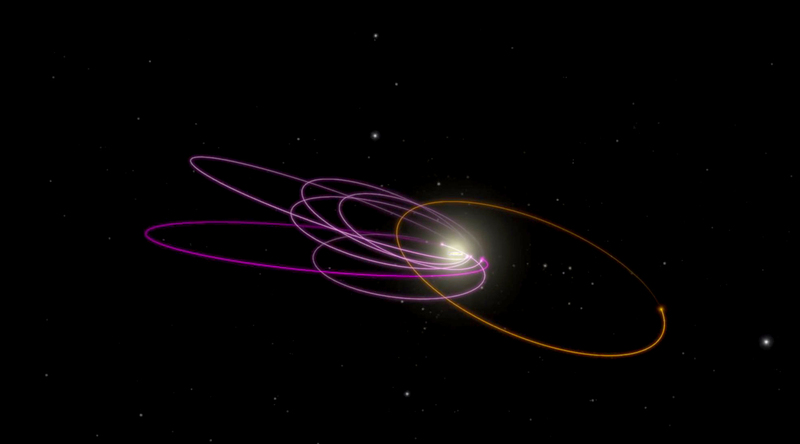 Mars' orbit is significantly eccentric and the planet orbits near the inner edge of the asteroid belt where the space density of asteroids has a large radial gradient. The correlated secular dynamics of Mars and the asteroids plays a significant role in modulating the impact flux on this planet. At the present epoch, this leads to a large variation -- of about a factor of three -- in the impact flux when Mars is near aphelion versus perihelion; significantly, the integrated annual impact flux is lower than would be expected in the absence of correlated secular dynamics. 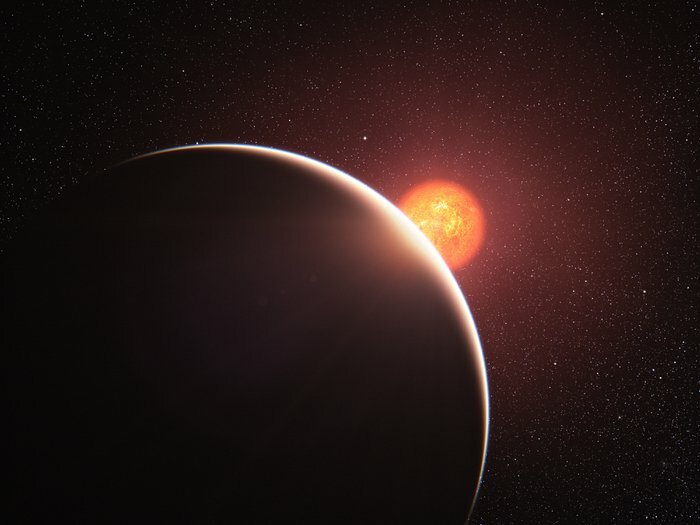 The second part of the talk will describe some deductions about the planet mass function from the observational data of exoplanets and theoretical considerations of long term stability. I will describe analysis of the observational data from the Kepler space mission which indicates that planetary orbital separations have an approximately log-normal distribution. Adopting some plausible ansatzs for the dynamical stability of N-planet systems to relate orbital separations to planet masses, it appears that the planet mass function is peaked in logarithm of mass, with the most probable value of log m/M⊕ ∼ (0.6 − 1.0); a modest extrapolation indicates that Earth mass planets are about ~1000 times more common than Jupiter mass planets, and that the most common planets in the Galaxy may be of lunar-to-Mars mass. In this talk I will discuss a novel theory of superfluid dark matter. The scenario matches the predictions of the LambdaCDM model on cosmological scales while simultaneously reproducing the MOdified Newtonian Dynamics (MOND) empirical success on galactic scales. The dark matter and MOND components have a common origin, as different phases of a single underlying substance. This is achieved through the rich and well-studied physics of superfluidity. The framework naturally distinguishes between galaxies (where MOND is successful) and galaxy clusters (where MOND is not): due to the higher velocity dispersion in clusters, and correspondingly higher temperature, the DM in clusters is either in a mixture of superfluid and normal phases, or fully in the normal phase. The model makes various observational predictions that distinguishes it from both LambdaCDM and standard MOND. In the last part of the talk, I will discuss an on-going attempt at explaining cosmic acceleration as yet another manifestation of dark matter superfluidity. Spots on the stellar rotating surface can produce periodic brightness modulation that varies with the stellar rotational period. The Kepler space mission observed more than 150,000 stars continuously for more than four years, producing unprecedentedly precise light curves. 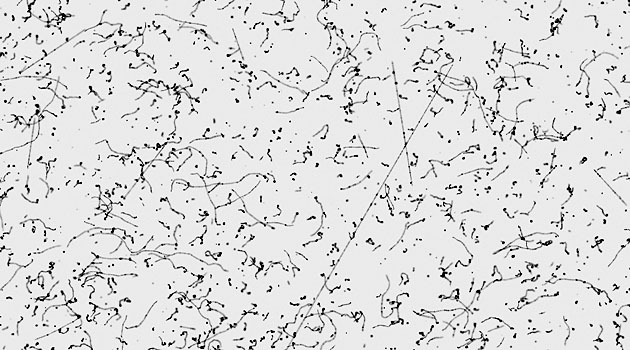 We used this data gold mine to derive the rotational periods of more than 30,000 stars. About a thousand of the Kepler stars with derived rotational periods have been found to have planets orbiting around them. We use this sample and the derived amplitudes of the stellar modulation in particular, to infer some evidence for the star-planet obliquity - the angle between the stellar spin axis and the orbital planetary angular momentum of a planet. Previous studies found two populations of hot Jupiters - one around cool stars with orbits well-aligned with the stellar rotational axes, and the other around hot stars with isotropic distribution of obliquities, including planets with retrograde motion. We will show surprising statistical evidence that supports these findings. We will also discuss whether the amplitudes of the cool stars with planets depend on the planetary orbital periods, a dependence that might have some implications for the formation of short-period planetary formation. The inner regions of accretion flows in luminous sources such as AGN and X-ray binaries are radiation dominated. In the case of AGN, radiation and winds produced by such flows are thought to be an important feedback mechanism during galaxy formation in massive halos. 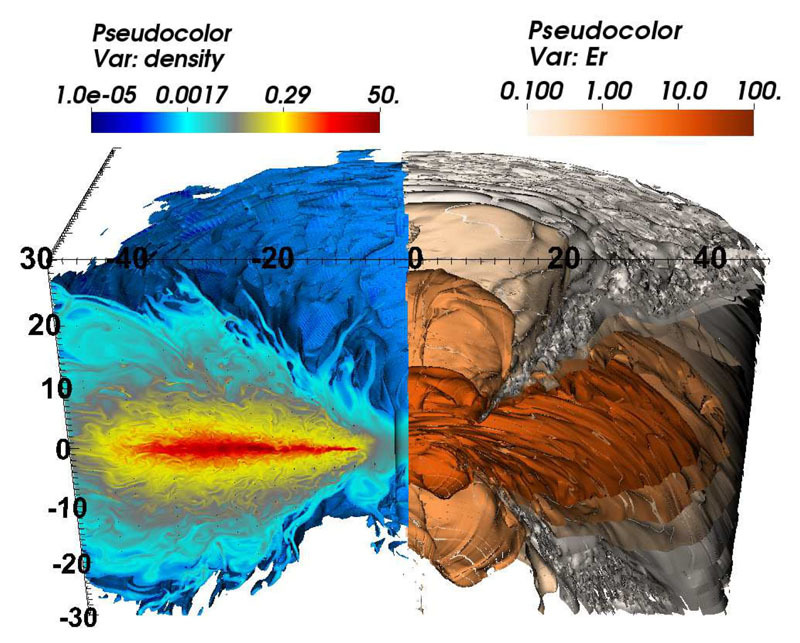 I present new results from numerical studies of the magnetohydrodynamics of accretion this regime. These calculations use numerical methods based on a formal solution of the time-dependent radiation transfer equation, eliminating the need for approximate closures. We find that turbulent transport of radiation energy can be a significant contribution to the cooling rate in the disk, and this changes the global properties of the flow compared to standard slim-disk models. 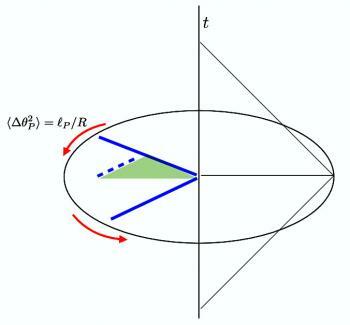 We describe new work to extend our calculations to full general relativity, in order to follow the dynamics in the innermost regions of the disk. 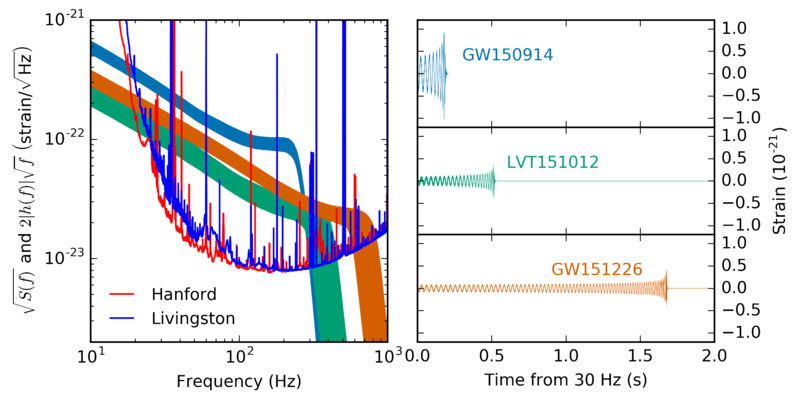 Measurements of the cosmic microwave background at redshift z ~ 1100 give us information about the initial density fluctuations that seeded subsequent gravitational collapse and structure formation. Observations of galaxies and clusters at z <~ 7 give us information about the outcome of this structure formation. Between those redshifts lies a modern frontier of cosmology - the cosmic dawn that marked the formation of the first stars and galaxies and the deionization of the intergalactic medium. 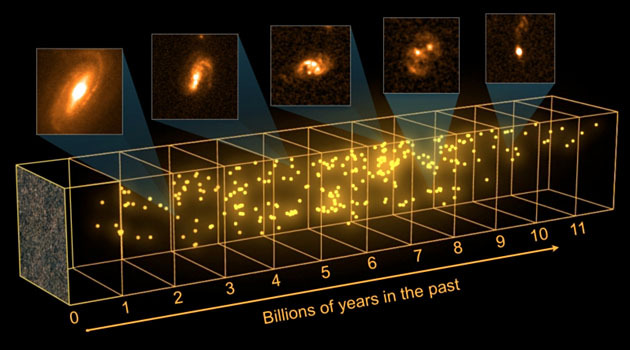 Direct observations of this phase of the universe's history are just beginning. A particularly promising technique is that of mapping hydrogen structures using the redshifted 21cm radio line. Several recently completed low frequency radio arrays are now operating and providing us with an early glimpse into the Epoch of Rionization. 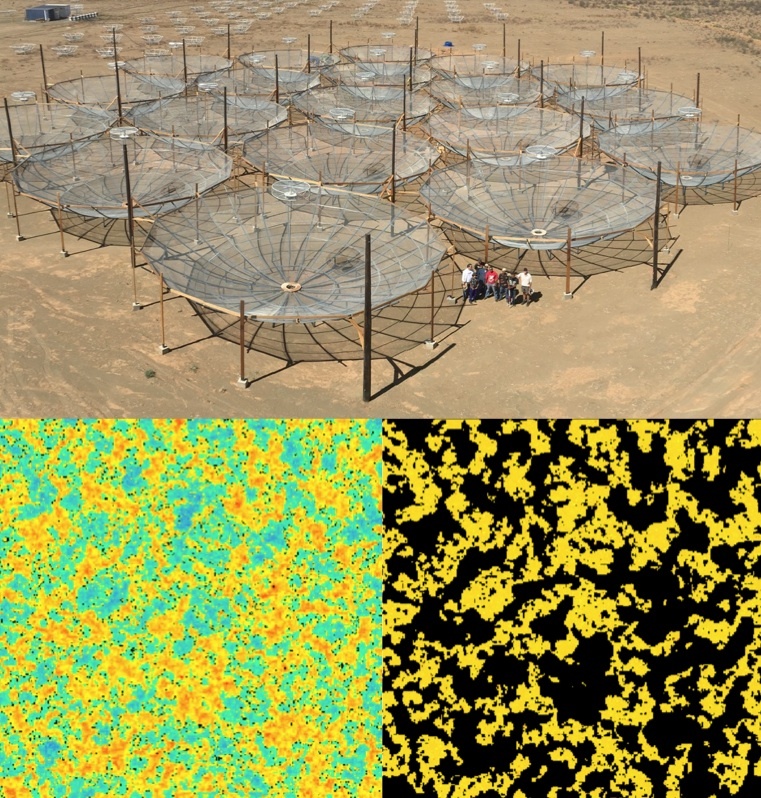 Building upon these results a next generation instrument, the Hydrogen Epoch of Reionization Array (HERA) is beginning construction. HERA will be significantly more capable, and presents interesting opportunities and challenges. In the last few years of the lives of massive stars, fusion in the core of the star produces a nuclear power that greatly exceeds the Eddington luminosity. This drives vigorous convection in numerous core and shell burning phases. I describe the surprising effect that waves excited by such convection can have on the properties of massive stars in the years leading up to core collapse. Wave transport of energy into the stellar envelope can power prodigious mass loss in the last years of stellar evolution. 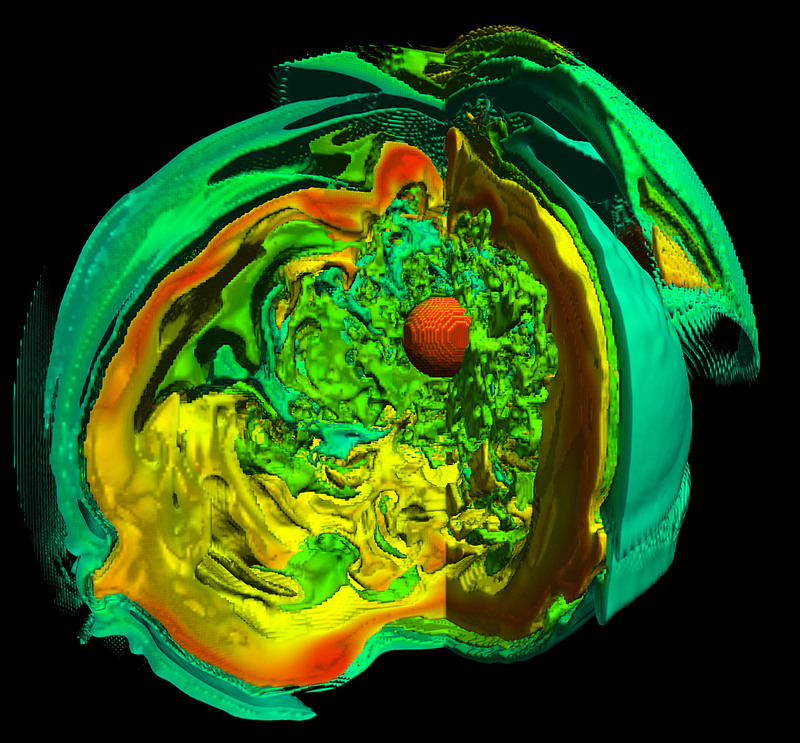 Angular momentum transport by waves excited during shell burning phases may well determine the angular momentum of the pre-supernova core, setting the birth spins of compact objects. The DAMIC (Dark MAtter In CCDs) experiment employs the bulk silicon of ~mm-thick charge-coupled devices (CCDs) to detect coherent elastic scattering of Weakly-Interacting Massive Particles (WIMPs) - putative yet-to-be-discovered particles which may explain the dark matter in the universe. This novel technique features an unprecedentedly low energy threshold (few tens of eVee) for the detection of nuclear recoils, providing optimal sensitivity for low mass WIMPs (< 10 GeV). In addition, the spatial resolution of the CCDs, unique amongst dark matter detectors, provides powerful methods to identify and mitigate environmental and cosmogenic backgrounds. 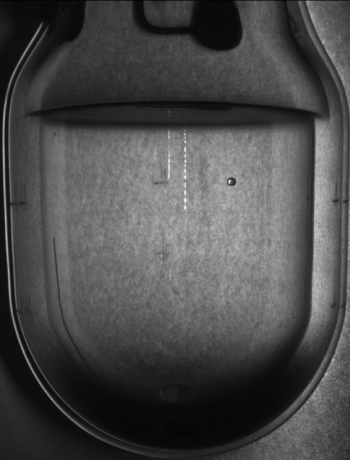 I will show recent results from DAMIC R&D data which demonstrate the potential of the CCD technology for WIMP detectors and first images from DAMIC100, a 100 g detector with 18 CCDs under installation at SNOLAB. There is a lot of knowledge built in to our physical models of stars. But there is even more information in the sum total of all the data ever taken of stars (tens of thousands of pixels of spectral data on many hundreds of thousands of targets). 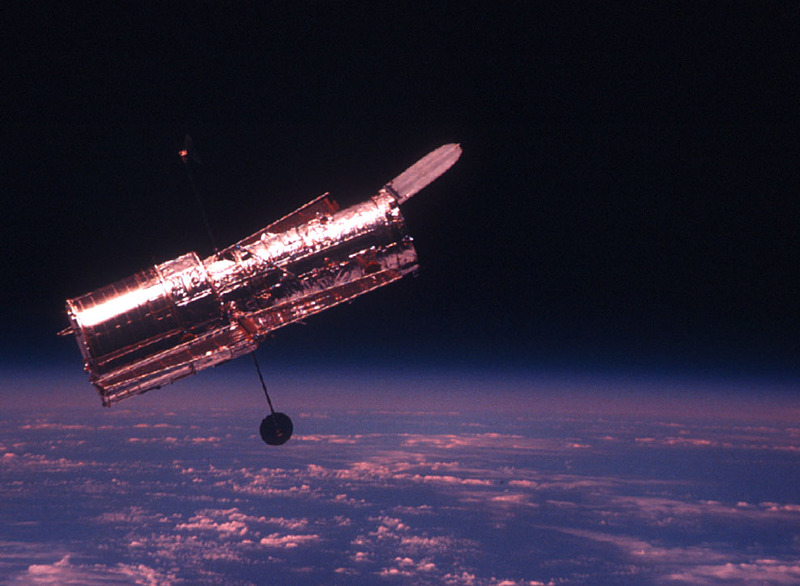 The Cannon (named after Annie) uses a small amount of physical modeling and a huge amount of data to build very precise, predictive, probabilistic models of stellar spectra. 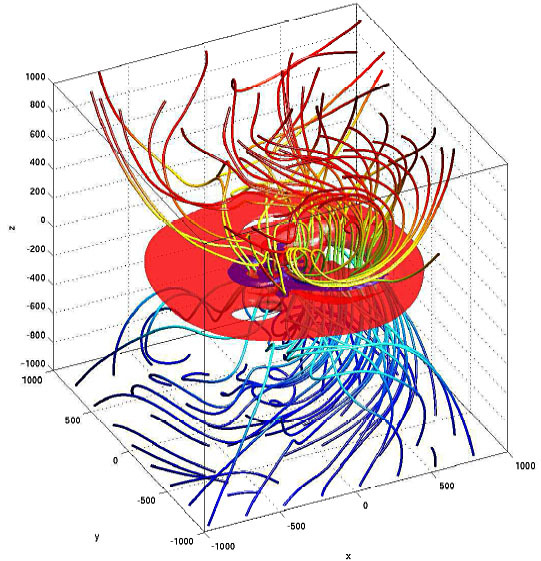 I show that these data-driven models can be used to obtain extremely precise measurements of stellar parameters and detailed chemical abundances, substantially more precise even than the physical models used to generate "ground truth" inputs. 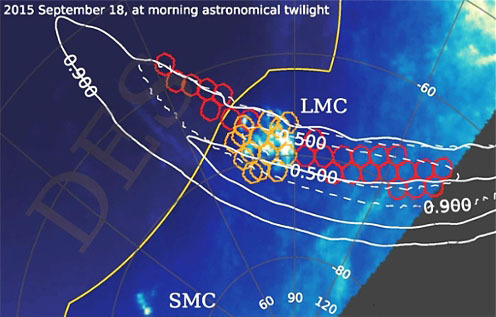 Indeed, we believe that The Cannon working on SDSS-APOGEE data is delivering more precise chemical abundance measurements than any previous method for the analysis of stellar spectra. These results have implications for studies of exoplanets (which I won't discuss) and the Milky Way (which I might). Work in collaboration with Melissa Ness (MPIA), Andrew R. Casey (Cambridge), Anna Y. Q. Ho (Caltech) and Hans-Walter Rix (MPIA). The High Altitude Water Cherenkov (HAWC) Gamma-ray Observatory in the high mountains of Mexico was completed in March of 2015 and is now giving us a new view of the TeV sky. HAWC is 15 times more sensitive than the previous generation of widefield EAS gamma-ray instruments and is able to detect the Crab nebula at >6σ with each daily transit. In our first year of operation, HAWC has a 5σ detection sensitivity for a source of ~50mCrab. Unlike Imaging Atmospheric Cherenkov Telescopes (IACTs), HAWC operates 24hrs/day with over a 95% on-time and observes the entire overhead sky (~2sr). 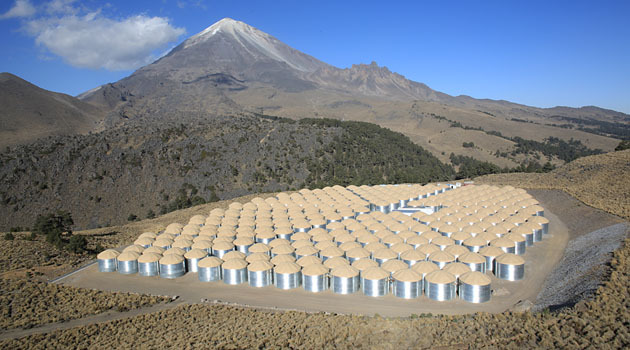 HAWC’s peak energy sensitivity is 2-10 TeV which is ~10x higher than IACTs such as VERITAS and HESS, which makes their observations quite complementary. This talk will present results from the first year of HAWC data including our study of the galactic plane including new sources not yet detected by IACTs as well as spectra and morphology of bright sources. In addition, results of our monitoring of transient AGN will be presented. I will discuss recent progress in cosmological hydrodynamic simulations of galaxy formation at unprecedented volumes and resolution. I will focus on predictions for the first quasars and their host galaxies and their contribution to reionization from the BlueTides simulation. BlueTides is a uniquely large volume and high resolution simulation of the high redshift universe: with 0.7 trillion particles in a volume half a gigaparsec on a side. This is the first simulation large enough to resolve the relevant scales relevant to the formation of the first large galaxies and quasars. These massive objects at high redshifts will be investigated with the next generation telescopes (Euclid, JWST and WFIRST). The heaviest elements in the periodic table are synthesized through the r-process, but the astrophysical site for r-process nucleosynthesis is still unknown. The major current candidates are ordinary core-collapse supernovae and neutron star merger. Ancient, metal-poor ultra-faint dwarf galaxies contain a simple fossil record of early chemical enrichment that provides the means to study clean signatures of nucleosynthesis events, and thus, can yield unique information on the origin of these processes. Previously, extremely low levels of neutron-capture elements were found in the metal-poor stars in ultra-faint dwarf galaxies which supported supernovae as the r-process site. 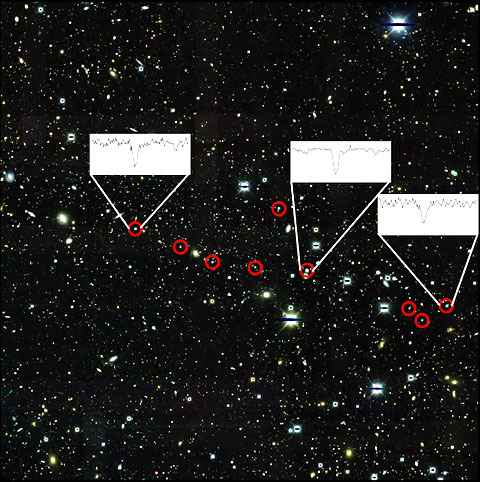 Based on Magellan/MIKE high-resolution spectroscopy, we have determined chemical abundances of nine stars in the recently discovered ultra-faint dwarf Reticulum II. Seven stars display extremely enhanced r-process abundances, comparable only to the most extreme r-process enhanced metal-poor stars found in the Milky Way's halo. 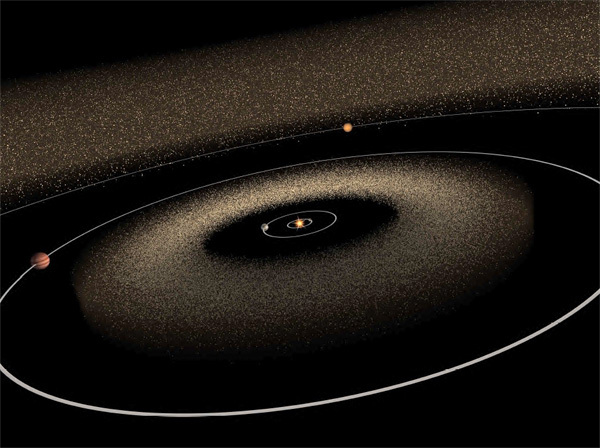 The enhancement is also 2-3 orders of magnitude higher than that of stars in any of the other ultra-faint dwarfs. This implies the neutron-capture r-process material in Reticulum II was synthesized in a single prolific event that is incompatible with r-process yields from ordinary core-collapse supernovae but consistent with that of a neutron star merger. This would be the first signature of a neutron star merger in the early universe which holds the key to finally identifying the r-process production site. Furthermore, such a single r-process event is a uniquely stringent constraint on the metal mixing and star formation history of this ultra-faint dwarf galaxy.